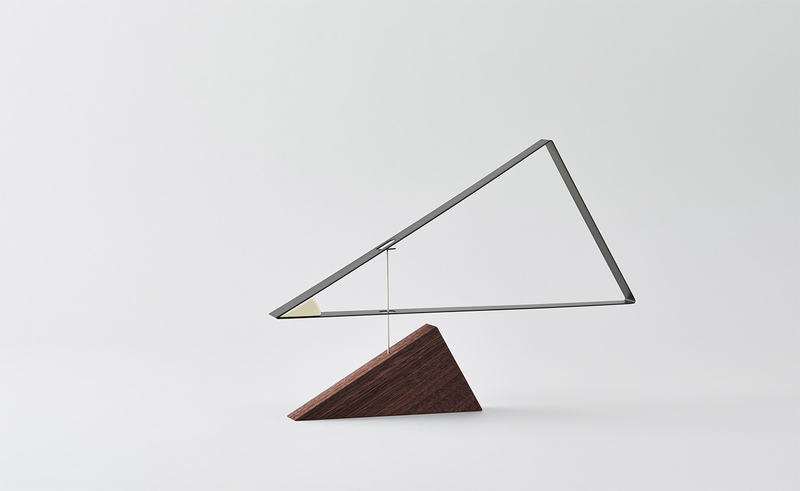 This mobile consists of 3 triangles.An aluminum frame is the biggest and the lightest part, a small steel block keeps its whole balance, and a wooden base made of walnut holds both the frame and the block. These 3 triangular parts’ ratios are all equal. The rhythm and balance formed by 3 different materials of triangles create a soft and calm moment, just like you are sailing the ocean.